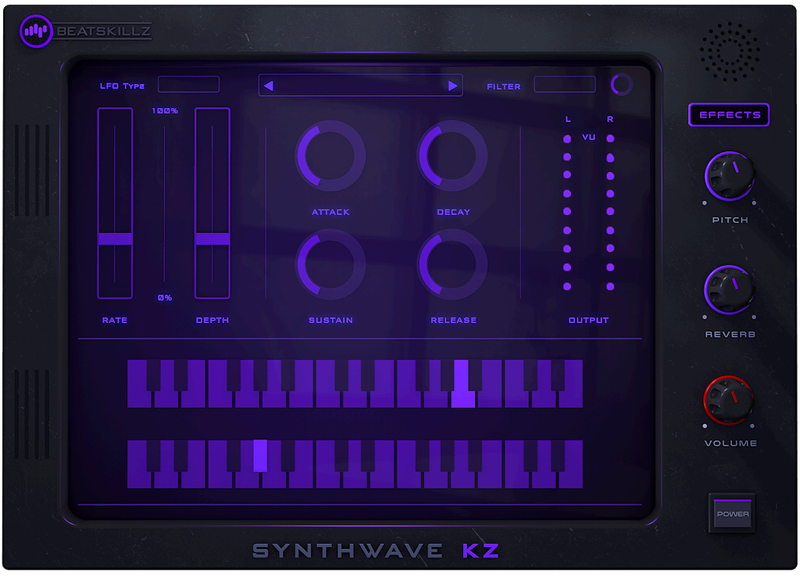 Save time and money by purchasing the Synthwave Bundle. 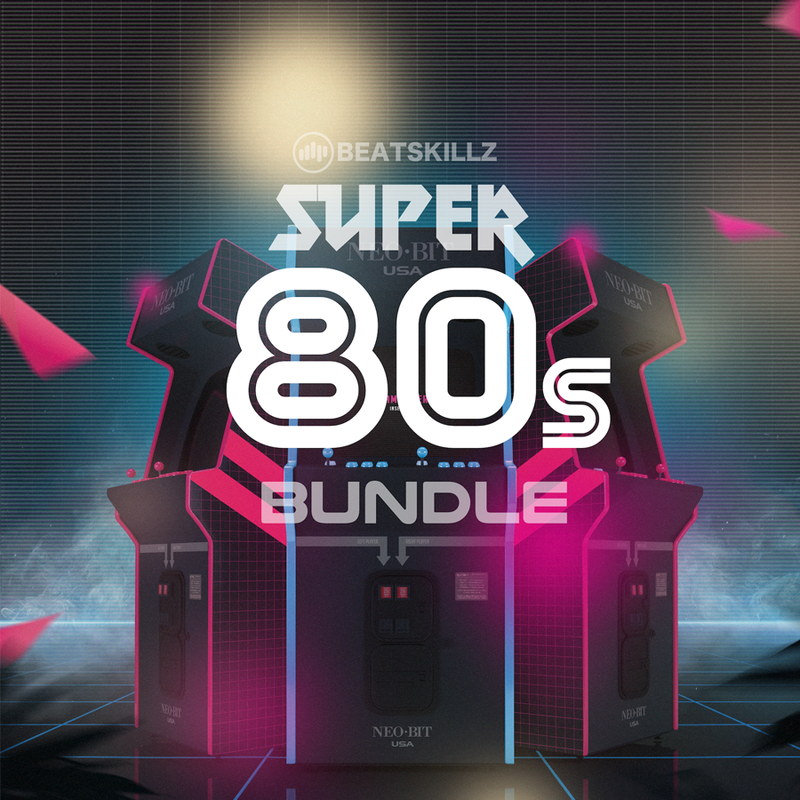 This Bundle contains Synthwave Drums and Synthwave KZ. 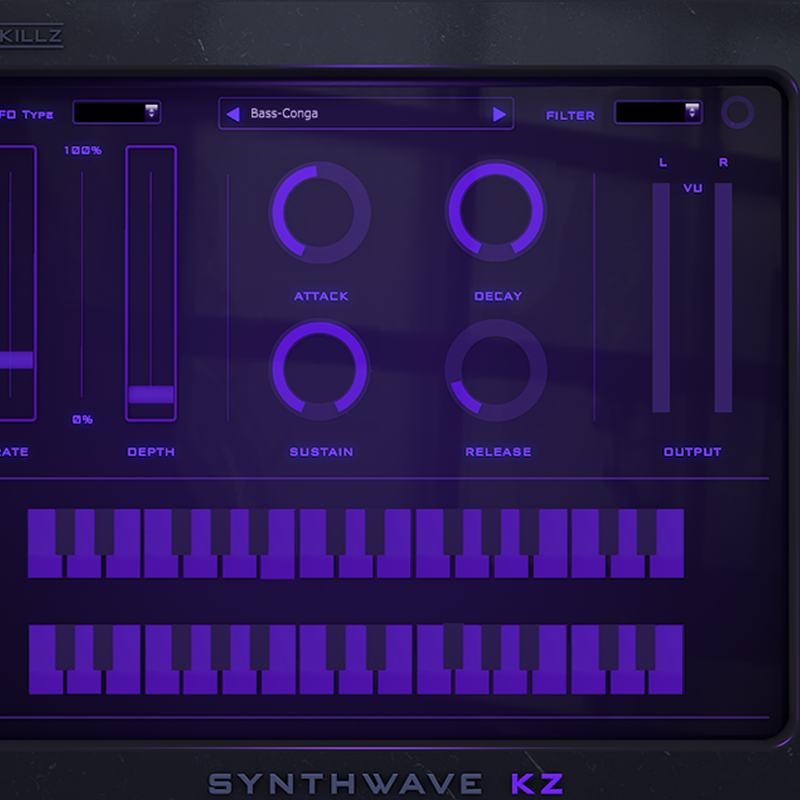 Synthwave/Vaporwave & Nuwave are new 80s revival genres of music with a modern twist, Bring back the 80s feel into your music by using Synthwave Bundle packed with a collection of 100 fabulous samples presets in synthwave KZ and 1200 high-quality Drum sounds in synthwave drums. 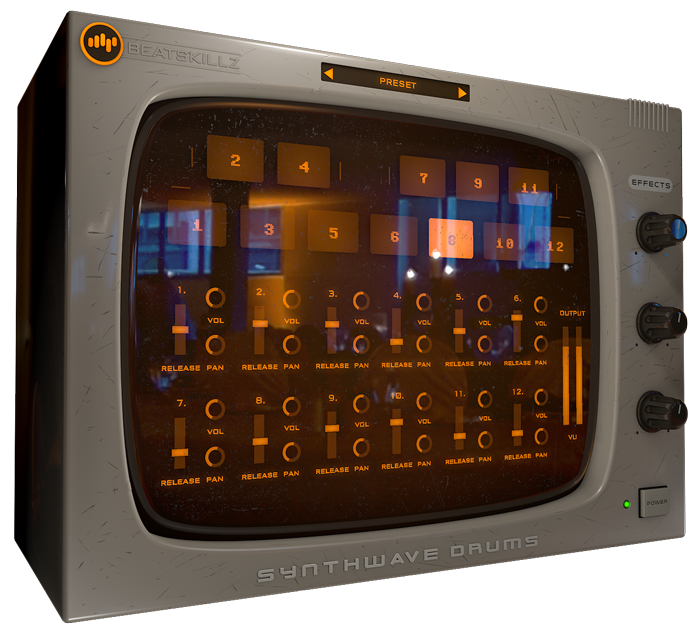 SYNTHWAVE Drums is a resurgence of the 80s drum sound in the 2010s and follows the principals of the retro production styles. 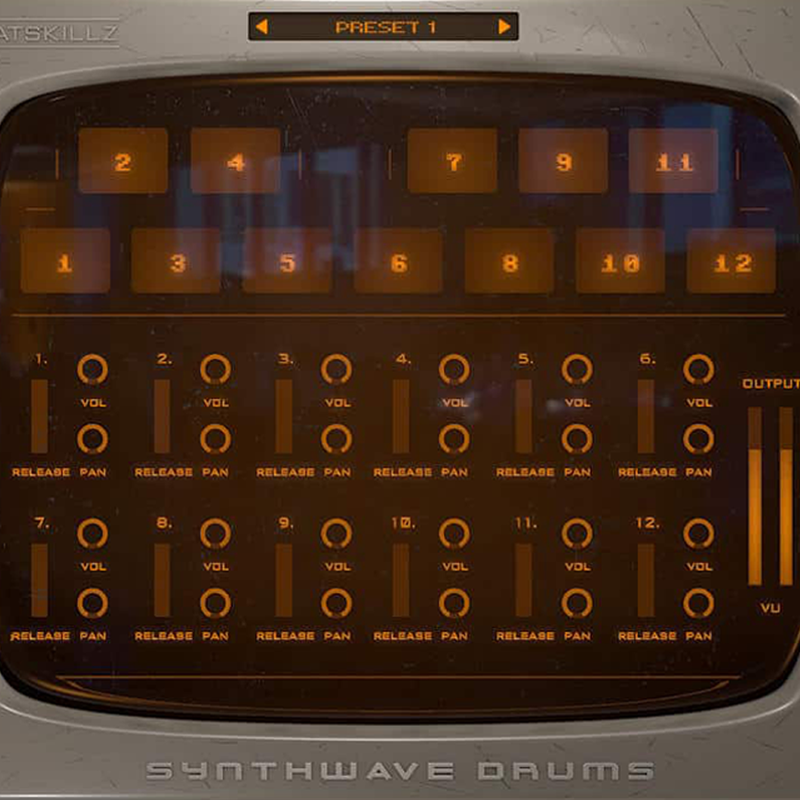 Synth wave Drums not only brings you all the popular drum machine sounds, but also brings dry and processed versions that sound exactly like the records you've heard. 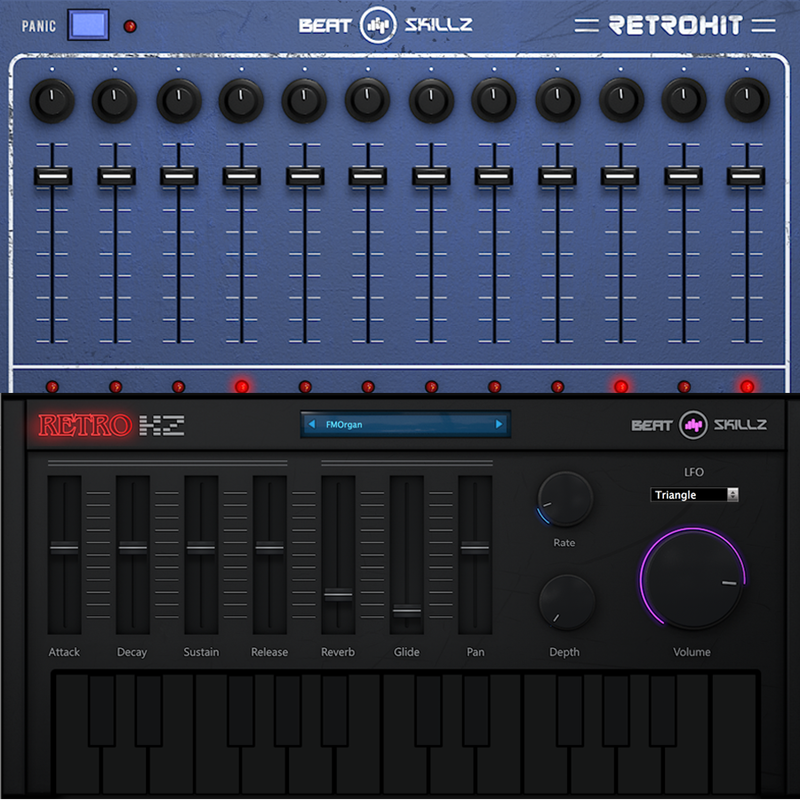 This helps in solving the "processing mystery" behind these hit sounds. 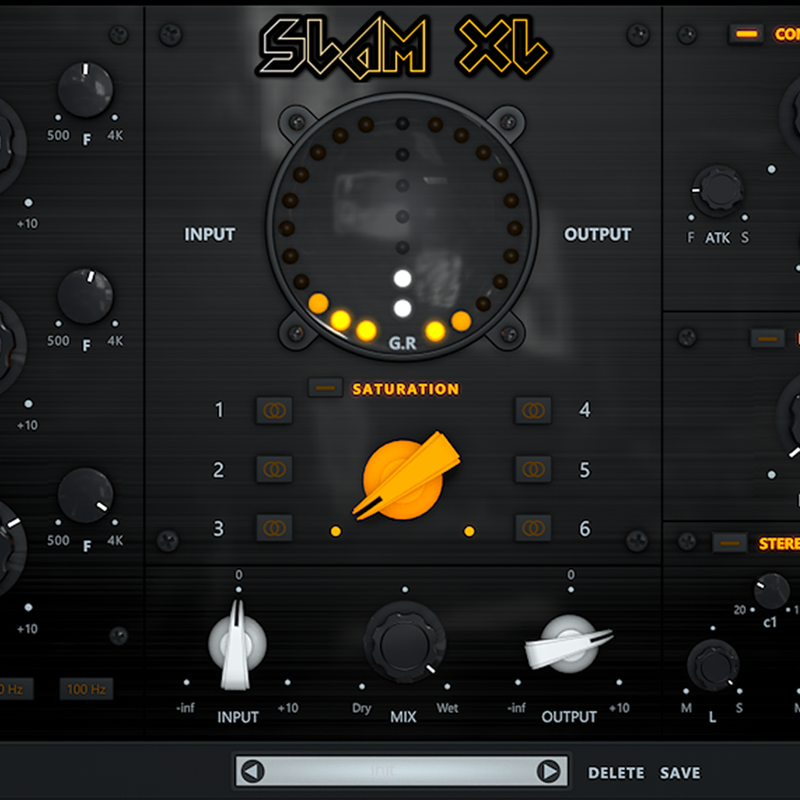 Often when you buy emulations or samples of just the drum machines, the sounds are too raw and sound nothing like the sounds of the genre. 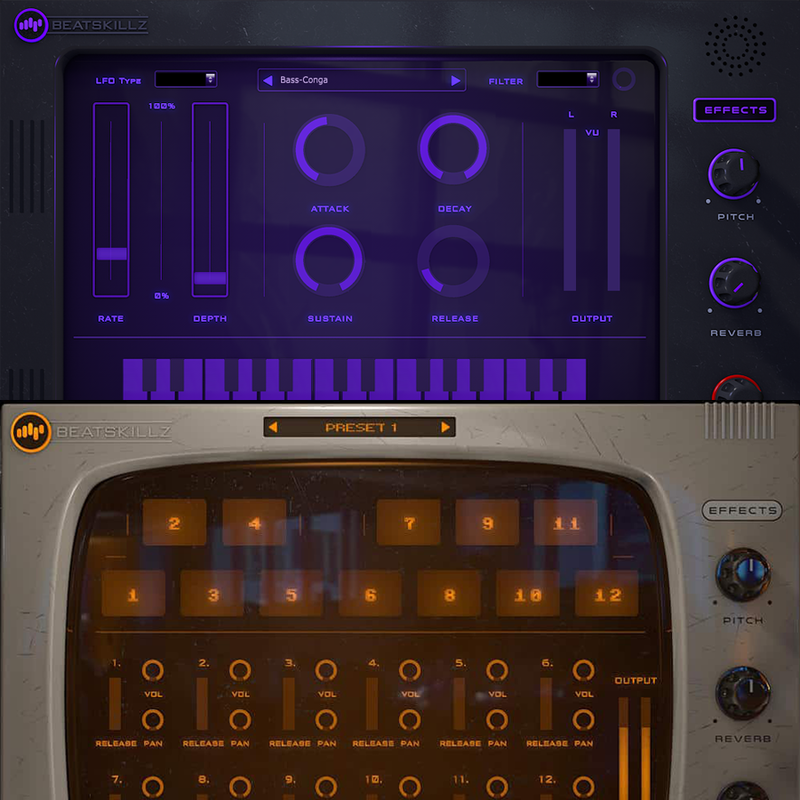 Synthwave / Vapourwave & Nuwave are 80s revival genres of music with a modern twist. 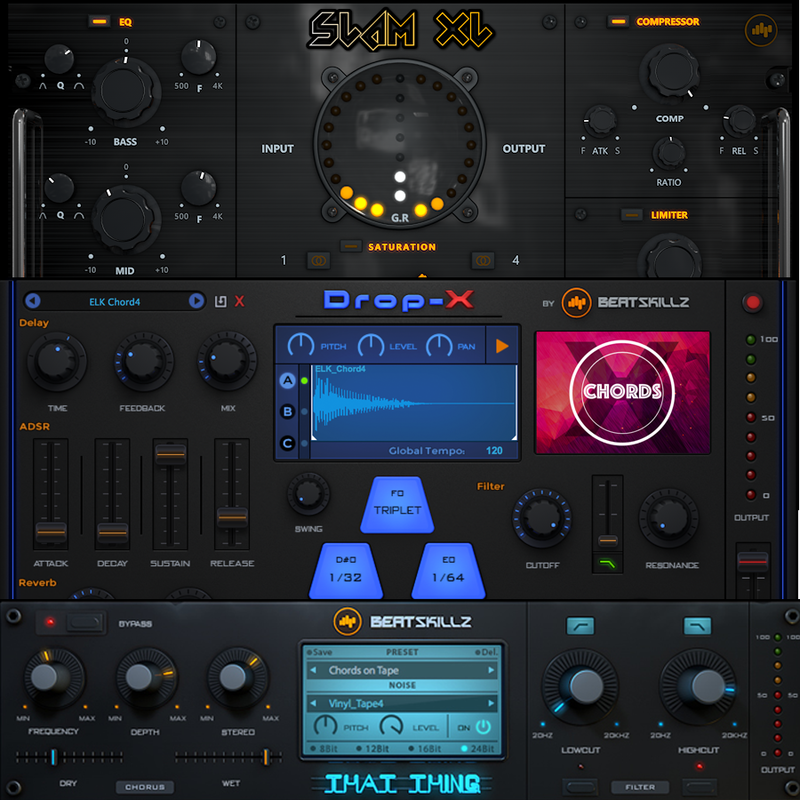 This style has soon come up from the underground to the mainstream with countless artists releasing new tracks with the “synthwave flavor”.This virtual instrument is a collection of 100 fabulous sampled presets from various analog synthesizers running though legendary effects and outboard gear. 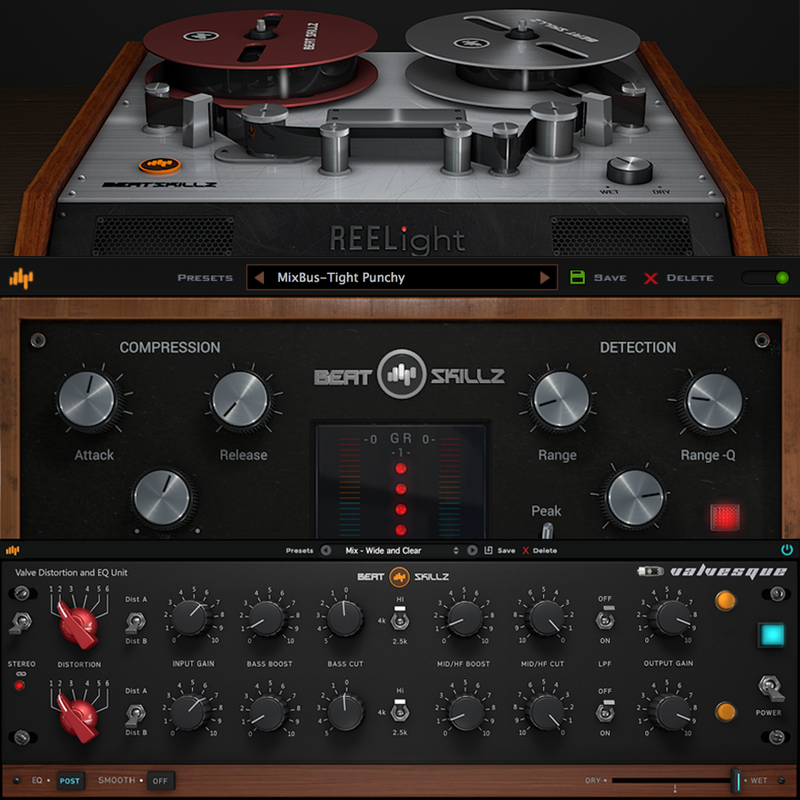 This process brings a rich and unique “analog” quality that is different from virtual emulations of real synthesizers.